Nearly two weeks after one of the deadliest shootings in modern U.S. history, authorities have yet to sort out the basic facts surrounding the case of a high-stakes video poker player who murdered 58 people from his high-rise hotel room in Las Vegas. What drove Stephen Paddock to open fire on the country music festival? Police and the FBI say they're still at a loss to explain his motive. What happened in those six minutes has generated intense focus, with lawyers questioning why police and security weren't able to thwart Paddock earlier. The 64-year-old real estate investor and retired accountant began his 10-minute attack on the crowd at 10:05 p.m., firing more than 1,000 rounds from two bashed-out windows, police said. Police didn't arrive on the 32nd floor until 10:17 p.m., two minutes after he had stopped shooting, according to Lombardo. In a statement Thursday, MGM Resorts International, which owns the Mandalay Bay, said the 9:59 p.m. reported time of the hallway shooting came from a report that was manually created after the massacre. "We are now confident that the time stated in this report is not accurate," the statement said. The wounded guard, Jesus Campos, used his radio to call for help, the statement said. A maintenance worker, Stephen Schuck, has said he also called for help on his radio, asking a dispatcher to call the police because someone was shooting a rifle on the 32nd floor. It's not clear what Mandalay Bay maintenance and security workers did with those messages by the guard and other worker. Police have declined to comment on MGM's statement. The timeline given by police earlier this week differed dramatically from the one they gave last week: that Paddock wounded Campos after he had opened fire on the crowd. Campos was called a hero whose presence outside Paddock's suite stopped the concert carnage. FBI Director Christopher Wray said investigators haven't determined a motive behind the mass shooting, but they're still digging. "There's a lot of effort being put into unraveling this horrific act," Wray told reporters after a ribbon-cutting for the FBI's new Atlanta building. "We don't know yet what the motive is, but that's not for lack of trying, and if you know anything about the bureau we don't give up easy." 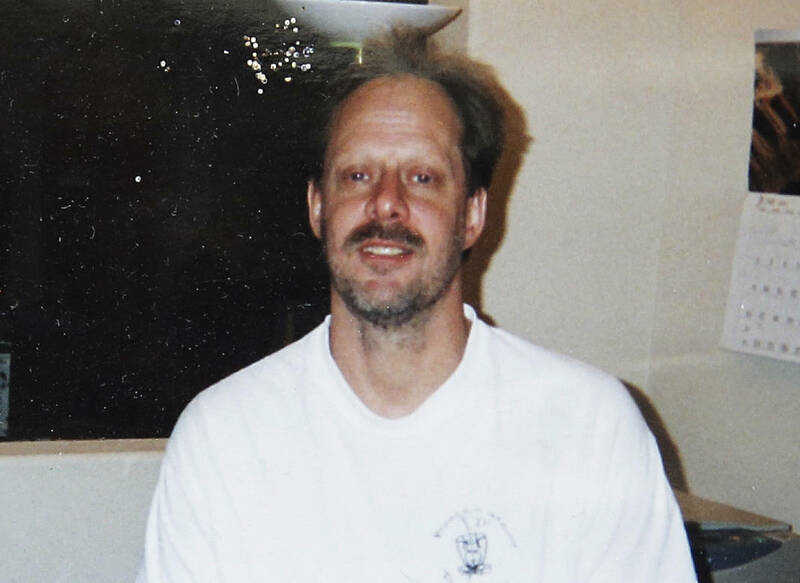 State court officials in Las Vegas on Thursday released copies of two search warrant applications that police submitted to a judge who approved a raid on Paddock's home in the retirement community in Mesquite, Nevada. The documents list items that investigators were seeking, including guns, explosives, vehicles, computers, photos, documents, medications and personal records. Also Thursday, a funeral was held for Erick Silva, a 21-year-old security guard at the festival who was shot in the head while helping people climb over a barricade to escape the gunfire. Dozens of fellow "yellow shirt" security guards were among the hundreds of mourners at the service, where Silva was hailed as a hero. "We counted on him, and he didn't let us down," said his boss, Gina Argento.